We appreciate your feedback about your support experience with Jeroen Sormani, developers of WooCommerce Advanced Shipping Packages. This helps us maintain high standards on the WooMarketplace, and helps Jeroen Sormani improve. Split your cart into separate shipping packages. Each package and the products inside will be shown separately in the cart and checkout pages. Each gets its own shipping rates based on your setup. Using powerful conditional logic setting you can create the packages exactly up to your need when you want, and with the products you want. The customer will see separate shipping options for each package, according to how the packages are created. Note that the rest of the products in the cart are in a bundle called ‘Shipping.’ This is a default that cannot be changed. 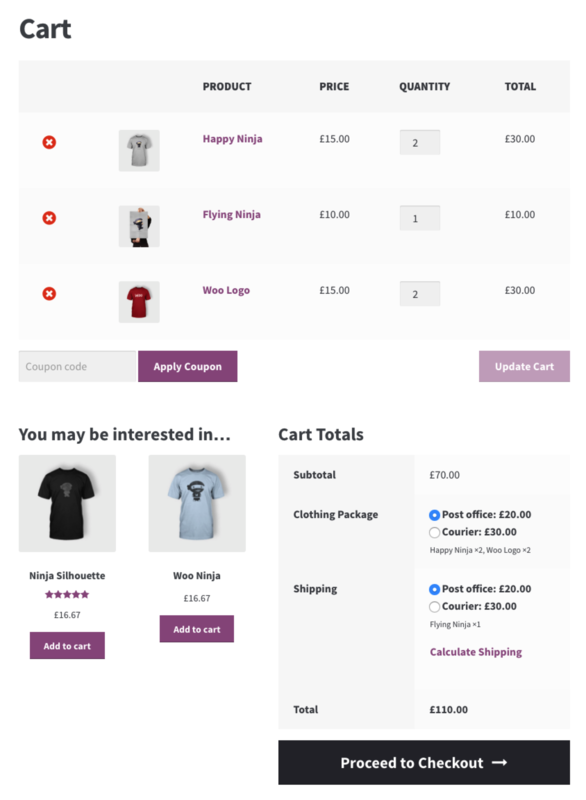 Below are some example use cases on how shiping packages can be used within WooCommerce. If you want to ship only certain products for free you can use a split cart to make it easier for the shipping method you’re using to get the right shipping for each package. For the customer it will also become much clearer which products ship for free and which are paid shipping. Big and heavy items sometimes simply can’t be shipped through the regular route. With a split package you can give the customer the option for freight shipping + regular shipping products if needed. Some items can’t be shipped and needs to be picked up. If the customer also has shippable products in the cart (s)he will have the option to pickup all products, or have the shippable products shipped anyways. If there are multiple locations a order is being shipped from it will inevitably have double shipping cost for you. Splitting the cart allows you to charge your customer for the products that are shipped separately. As important it is for the customer to see the different shipping methods, as important it is for you to see this in the order screen and emails. In each email to you and the customer it is communicated which shipping methods are selected. In the admin order screen it shows you which shipping methods are chosen and which products are within the package. There’s no limit to the amount of shipping packages that you can create. Using the sorting feature you can control which packages should be applied first. You have full control when a package should be created, and which products are added to said packages. You control all this using conditional logic. Each package can have its own name which will show at the cart/checkout to the customer. You can also re-name the default shippnig package in WooCommerce. Not every shipping method will be available for each package type. Using the Exclude feature you can ensure certain rates don’t appear for the created package. This also supports individual WC Shipping Zone shipping rates. Can I use this plugin to ship to multiple addresses? 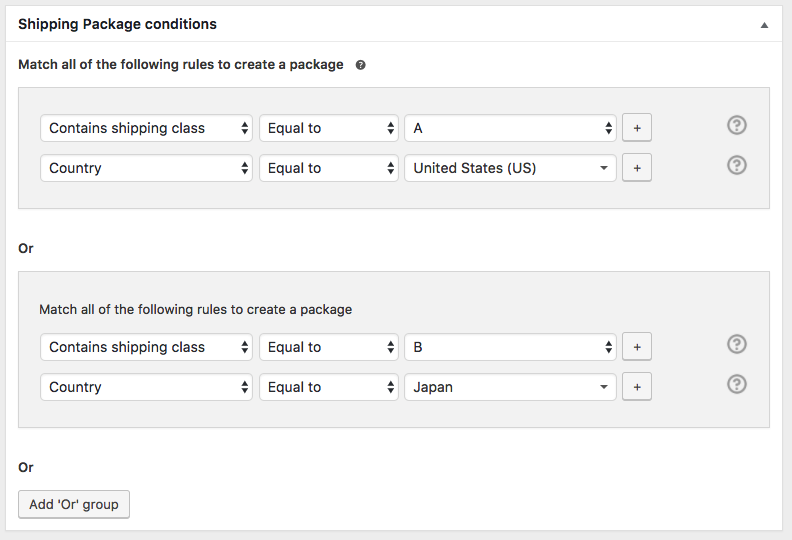 No, the Advanced Shipping Packages plugin is only meant for scenarios in which you need to split the shipping packages. For shipping to multiple addresses take a look at Shipping Multiple Addresses. What happens to products outside shipping packages setup? All products are in one package by default. Once you’re creating shipping packages using the extension those product can be split up within those new packages. If a product is not in a new package, this will remain in the default package and will be handled the same.